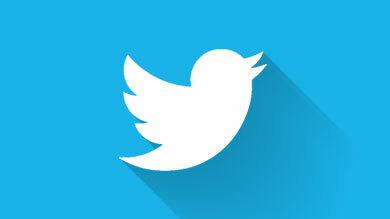 The press and blogger road tests took place in Tuscany, near Florence in Italy. 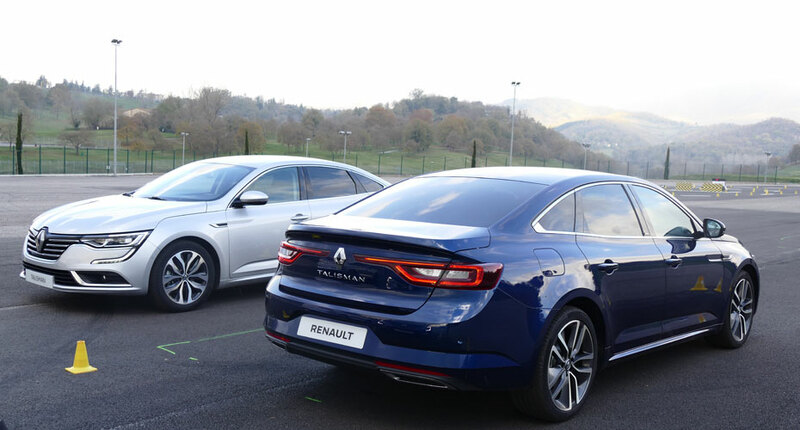 Around 600 journalists put two Talisman versions —Energy dCi 160 and Energy TCe 200 InitialeParis— through their paces on a varied route that included small urban roads, major highways, steep mountain roads, and even the Mugello racetrack, to test out the 4Control system. A real pleasure from start to finish! The cars were ready and waiting, neatly parked in the Florence airport forecourt. 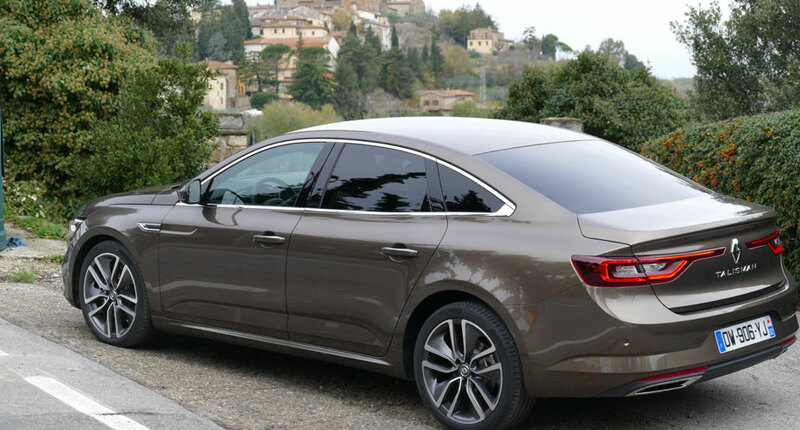 With its highly distinctive design, Renault Talisman is a real head-turner, starting with the assertive chrome-trimmed front end bearing the Renault badge, and the muscular long ribbed bonnet, as on New Mégane. 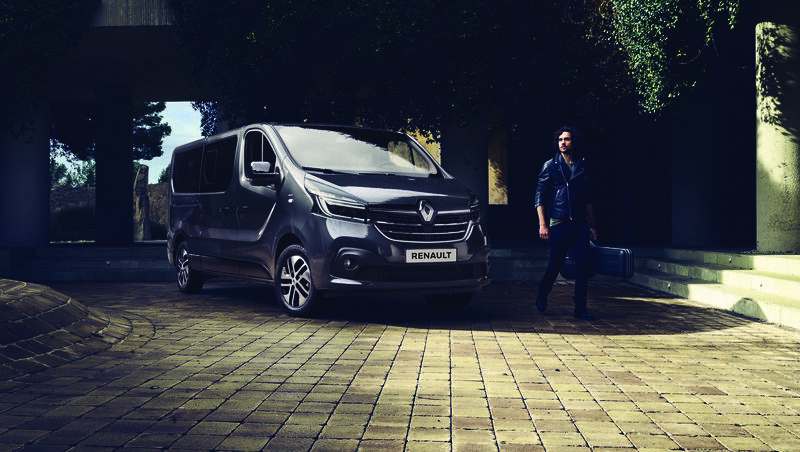 Then there’s a wealth of detail, such as the LED daytime headlamps displaying the Renault light signature, an instantly recognizable “C” shape. Talisman is generously sized, at 4.85 m long by 1.87 wide, with a road-hugging profile 1.46 m high. As you might expect, Talisman is designed throughout as an open invitation to the most comfortable of motoring experiences. The interior is impressively spacious, front and rear. (Rear-seat passengers will especially appreciate the 262 mm knee radius.) 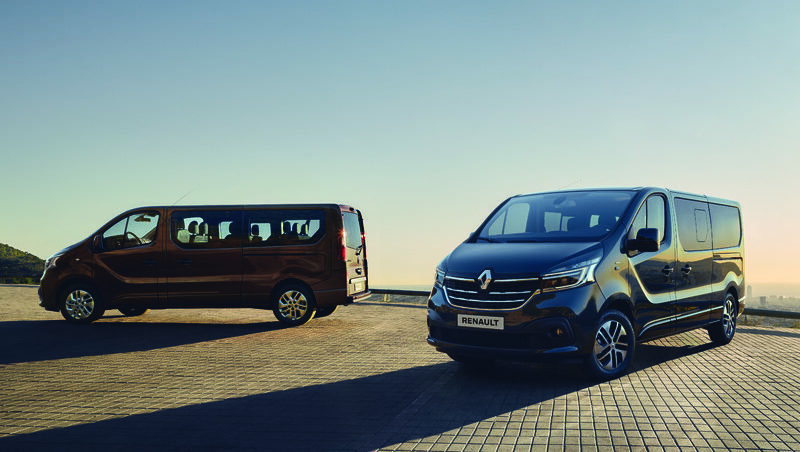 Stowage space, too, is generous in the extreme, with 25 litres in the passenger compartment itself and a boot volume variable from 608 dm3 to 1022 dm3 (VDA), again with comfort, convenience and practicality uppermost in mind! At the wheel, the sense of comfort is immediate. The wide seats (“armchairs” would perhaps be a better description) are decidedly “business class” and feature all the latest Renault innovations. They offer perfect lateral support, and the wide headrests are as comfortable as they are reassuring. The sudden onset of winter weather conditions gave us full scope for appreciating Talisman’s thermal comfort technologies, such as dual-zone automatic climate control (for fine-tuned individualized control), which also features a humidity sensor that automatically compensates against an excess of moisture in the air. We were also thankful for the heated seats and steering wheel. Talisman was in its element along the delightful little winding roads of Tuscany: it’s difficult to imagine a better way to enjoy the magnificent scenery. The event organizers had mapped us out a route offering a full spectrum of driving conditions: major highways taking us out of the Florence conurbation, steep winding roads, pot-holed tracks leading right up to the snow-capped peaks, and the smooth concrete of the Mugello racetrack. 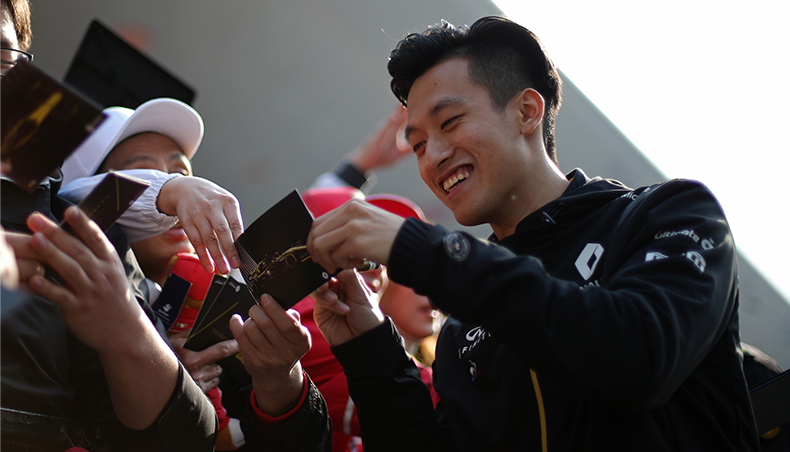 There was something for everybody: every kind of motoring sensation. 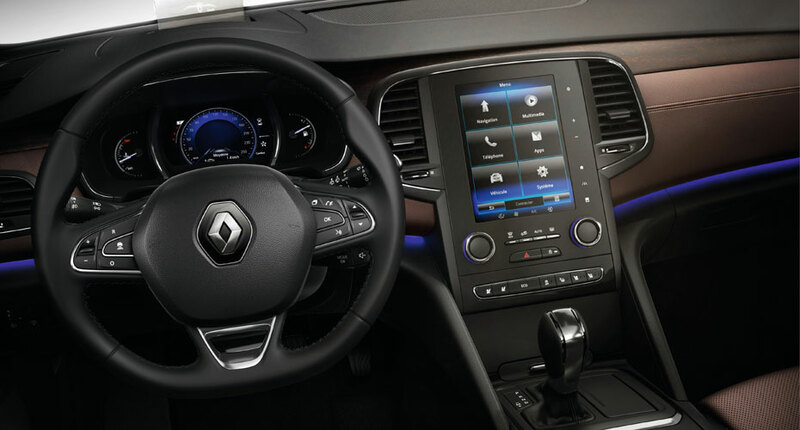 The Multi-Sense system (already featured on Renault Espace and Kadjar) was a real revelation, offering fingertip access to customized driving sensations. To adjust vehicle response to individual taste, it tweaks the settings of the 4Control all-wheel steering system, the variable suspension system, the steering system, the engine and the EDC transmission (in addition to the dashboard instrumentation, the engine sound and the interior lighting). The driver controls the Multi-Sense setting from a knob on the central console or via the highly intuitive R-Link2 interactive system. Talisman offers a choice of preset driving modes plus a fully-configurable mode that enables drivers to fine-tune vehicle response to their own particular driving styles. Talisman’s flawless roadholding affords total peace of mind. 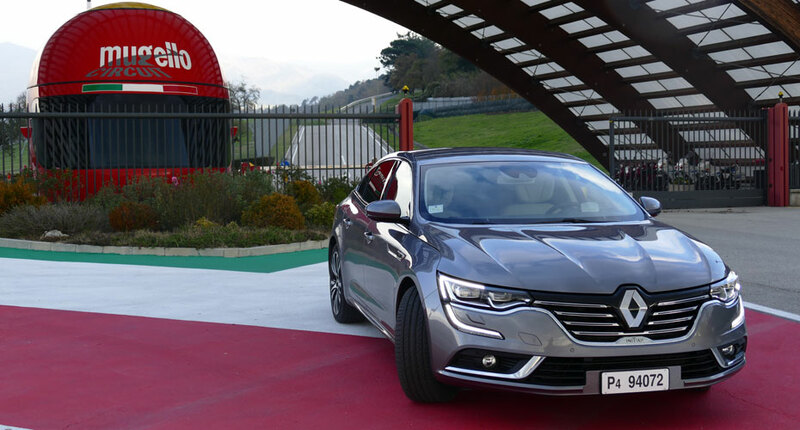 The variable suspension system, coordinated with 4Control all-wheel steering, ensures unwavering control and comfort even under sudden jerks and wide swerves, as we experienced during a special workshop at the Mugello racetrack. Both of the engine versions we tested lived up to expectations. 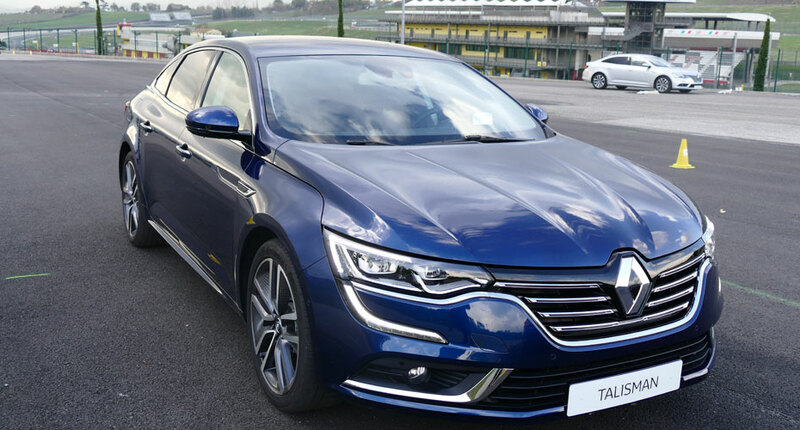 The Energy dCi 160 EDC version (with Twin Turbo technology) proved supple and responsive, despite the very low fuel consumption of 4.4 litres per 100 km (for CO2 emissions no higher than 115 g/km). The highly dynamic Energy TCE 200 EDC version will delight drivers with a more sporting inclination; here, fuel consumption is 5.6 litres per 100 km (for CO2 emissions of 127 g/km). 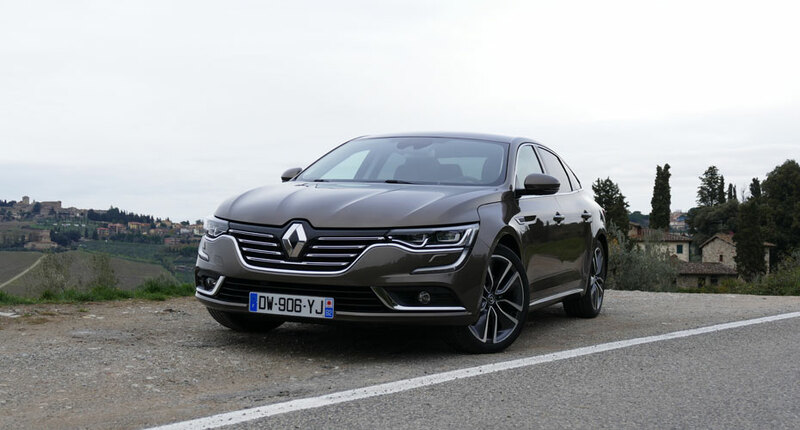 Throughout our 400 km excursion, Renault Talisman impressed us as a robust car with an uncompromising outlook on robustness, safety and quality. 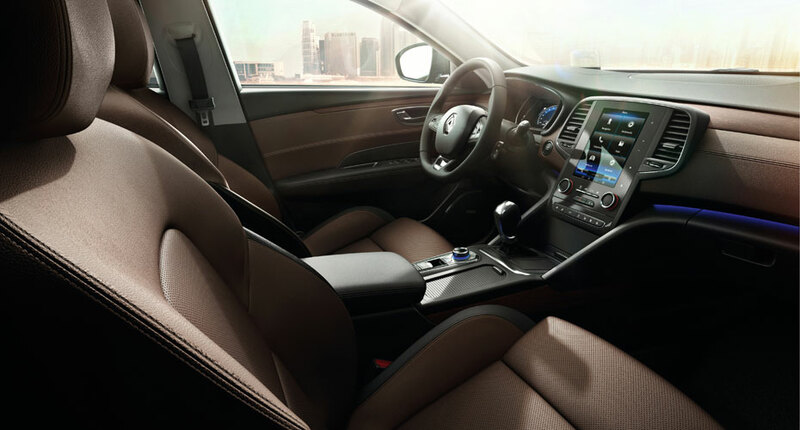 It boasts a full panoply of up-to-the-minute safety features, including adaptive cruise control, emergency brake assist and cornering lights. 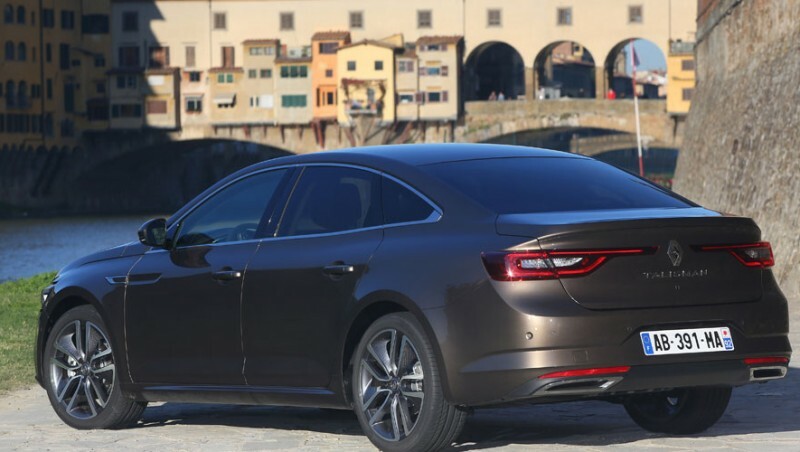 Driver reassurance is further enhanced through a series of alerts that effectively guard against attention drift (a non-negligible factor given the spectacular Tuscan scenery): lane departure warning, safety distance warning, excess speed warning with road-sign recognition, blind-spot warning. Talisman’s extensive driver assistance systems also provide valuable service under everyday driving conditions: Easy Park Assist, head-up display (especially appreciable on long journeys), automatic parking brake, hill-start assist, hands-free card and automatic boot opening. 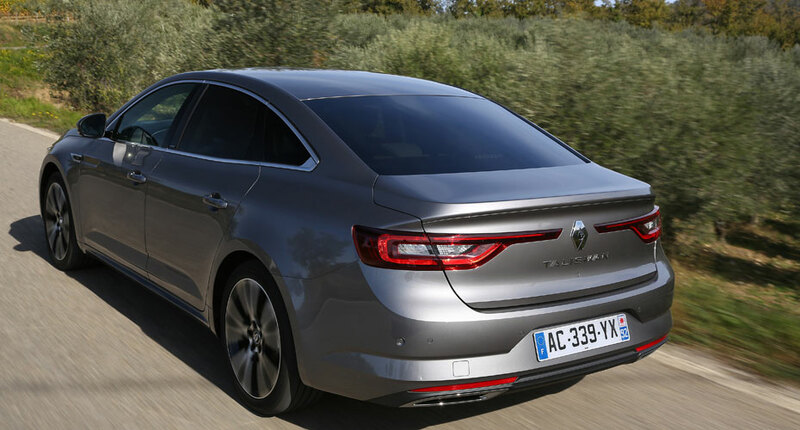 Renault Talisman will be making a gradual appearance in showrooms across Europe (except right-wheel drive countries), North Africa and Eastern Europe in 2016. Release for France and Belgium is set for late 2015.